Home / Archive by Category "Wildlife Sciences"
November 10, 2014 - Suet Plus Dough. 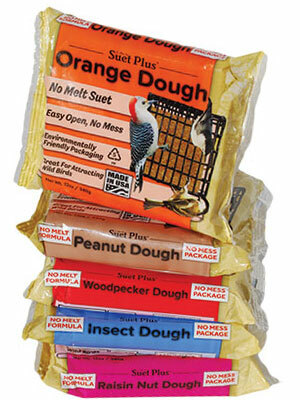 Wildlife Sciences rolls out its new line of no-melt Suet Plus Dough. No-melt suet is an important and growing segment of the birding public. Our high quality Suet Plus Dough formulations are packaged in the same easy-open, no-mess wrapper that consumers appreciate.